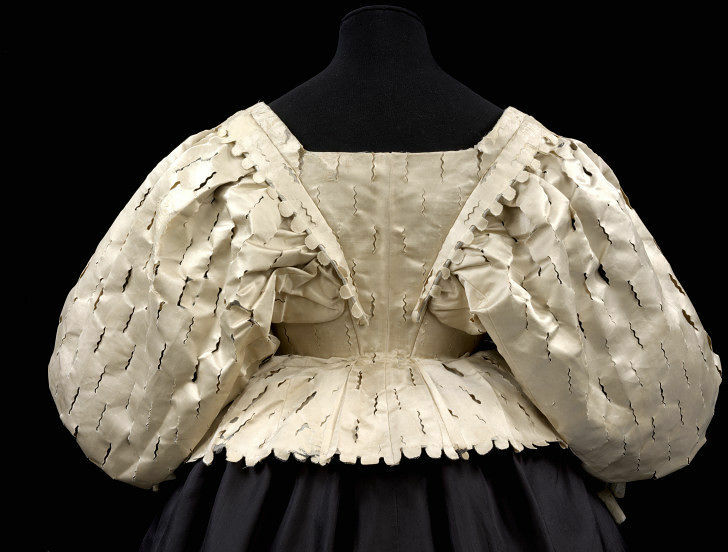 In the 1630s, women’s fashions featured high waistlines and short full sleeves set deep into the back of the bodice. 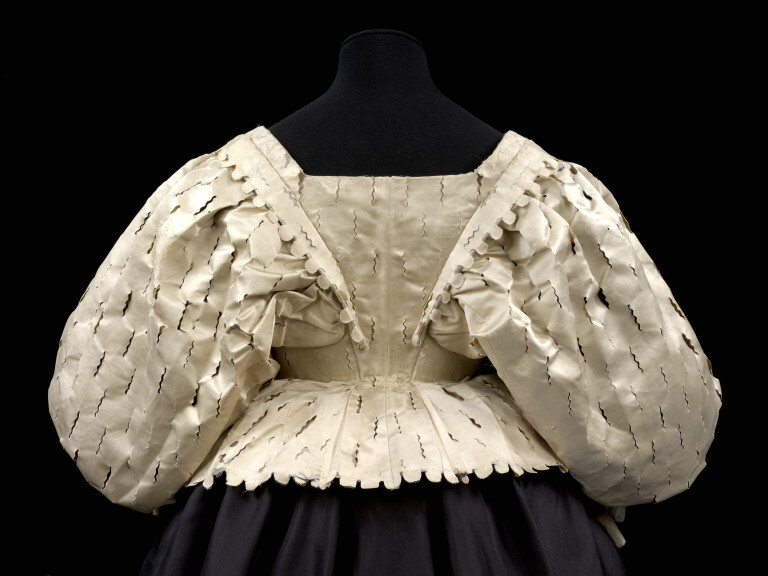 This bodice demonstrates that slashing, popular in the 16th century, continued well into the 17th century. The satin has been deliberately cut in regularly placed wavy lines, and its edges cut into scallops. The bodice has a boned foundation of canvas and buckram on the inside, which laces at the front. Although only the bodice of this outfit now survives, it would have been worn with a petticoat and the ensemble completed with stomacher, lace ruff and cuffs. Ivory satin, slashed, with internal foundation of buckram and canvas, reinforced with whalebone, lined with silk taffeta.